D. Balentine Events, LLC: Styled For Good! Remember when I said I was a little busy, and that I forgot to post a few things? Well, this is one of those post! ;) All the way back on May 11th of this year, I was asked to be part of an awesome event called "Styled For Good", hosted at the Machine Shop. This event brings the best of the best wedding professionals together to donate their time and talent back to the community. 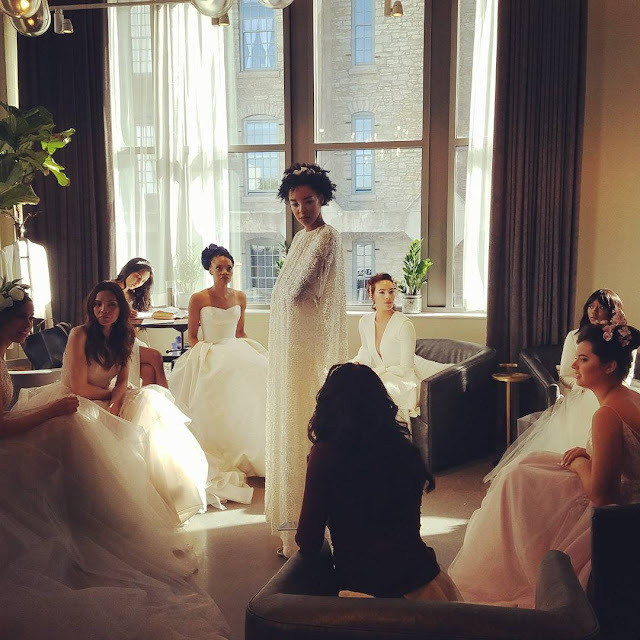 This year was the first year that they had a runway bridal fashion show, and D.Balentine Events was selected to execute this part of the event. Above is an aerial view of the grand finale, you can't see but I'm backstage behind those balloons. ;) I must say this was by far one of the BEST experiences and BEST events that I've been a part of! 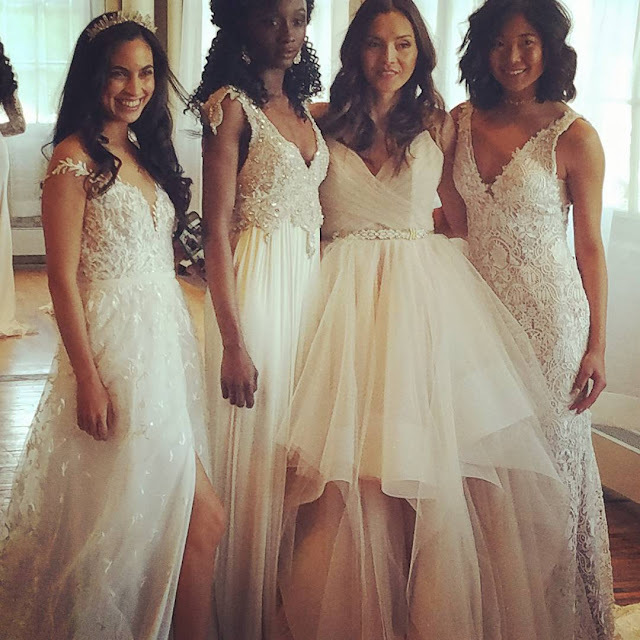 The co-founders Janae Saltzman and Kelly Bolman were great to work with, the models, hair and make-up team, bridal boutique designers and vendors- all professional, and did excellent work! It was great to return to my roots of fashion show production, and to know that I still got skills! lol! I haven't been backstage of a fashion show for years! 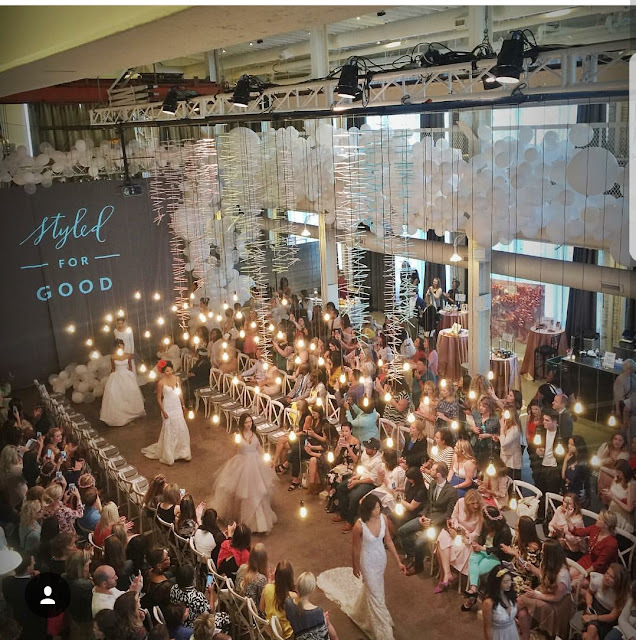 To find out more about "Styled For Good", please visit their website @ www.styledforgood.com. Oh, I and almost forgot to mention, all of the models were women of color! This was a priority for the co-founders, and they were very successful in achieving this goal! I captured this photo backstage right before the show started. The models were just waiting patiently, chatting amongst themselves.